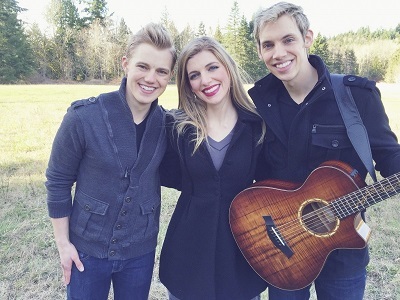 Derik Nelson & Family has performed the US National Anthem at Seattle Seahawks NFL, Seattle Sounders FC, and Portland Trailblazers NBA home games, and are proud to tour nationwide with their own headlining concert as a family. Listeners will be impressed with the perfectly blended three-part-harmony vocals, in addition to Derik’s thoughtful arrangements of cover songs from a variety of genres, styles, and eras. Derik's original music is very well received by all ages, with lyrical themes of home, family, and the seasons of the Pacific Northwest. 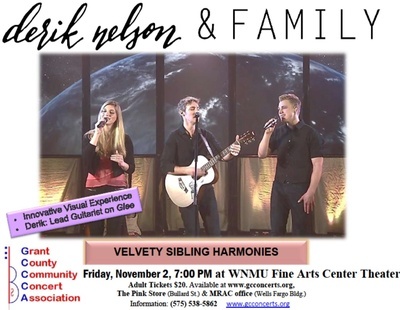 Backed with warm acoustic guitar, and "silk on the ears" musicality, these genuinely kind, charming, and talented siblings have a bond that’s palpable, both on stage and off. Audiences of every age are sure to be mesmerized from the opening to the dazzling finish. It's a concert experience unlike any other. 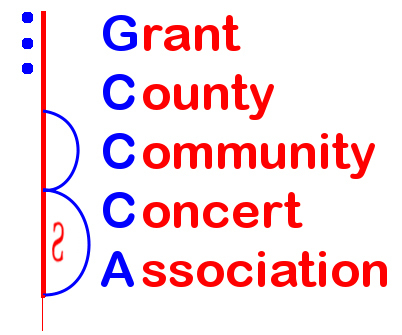 IMPORTANT NOTICE: "Due to construction on College Avenue, North Kentucky Street to the Fine Arts Theater can only be accessed from 12th Street"
Friday - November 2, 2018 at 7:00 p.m.